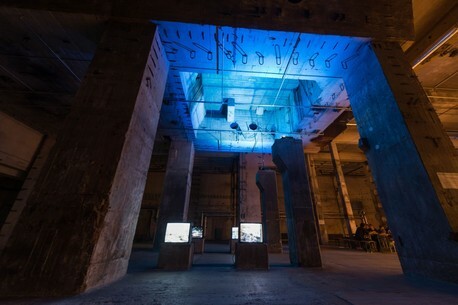 As a resultant of the sit-down, deep listening background and gravitating around the axis of the contemporary classical and avant garde, Berlin’s Maerzmusik (11 – 20 March ’16) is the most entitled initiative to dissolve the capital-C canon in contemporary sound art. The packed program included, among others, the knock-out rendition of Max Richter’s “Sleep”, which found the artist playing for a completely unaware audience, all going about their own REM sleep phase. The common ground was a soundtrack well weaved and tuned to dreamy brain waves, as subjects laid on campaign beds composing one of the most instagrammed moments of Berlin life. Workshops and panels exploring the mere concept of time brought forward-thinking ideas of which you should check out Laboria Cuboniks’s xenofeminist manifesto (if you needed an upgrade to your cyborg-manifesto forming school of thought). On sound installation side, a must was the work which Mazen Kerbaj put together laboriously over the span of almost a decade, under the title “Before the war, it was the war. After the war, it is still the war” - piece using sound as a device to make a comment on Lebanon’s recent political struggles. A series of talks looked into the idea of “Time and The Digital Universe” and a panel moderated by theorist Marc Whittman focused on the concept of “nowness” - as perception of the moment present and its possible infinite duration. Now, The Length of Nowness is a good concept to get high to. It challenges the illusory idea of time as opposed to the sense of nowness, which he claims to underpin consciousness. And this scientifically treated reflection decently concurs with all those things that the oriental schools of thought and spirituality have ever told you about being mindful. Applying this angle to the already spiritual and neuro-active drone music doesn’t sound like a far-fetched attempt. 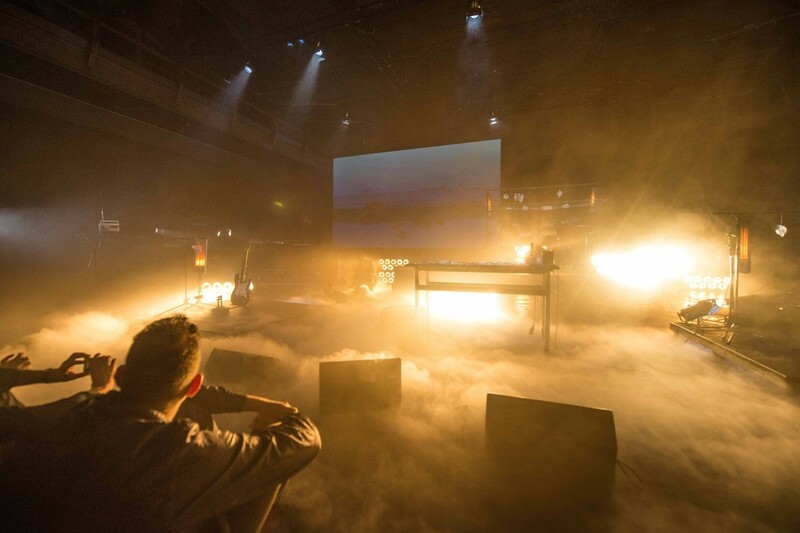 And that’s exactly why the most challenging prospect for a human to behold was the drone marathon at Kraftwerk Halle, the Maerzmusik weekend program called - you guessed it - The Long Now. “The Long Now” (19-21 March ’16) integrated electronic music’s underground newer innovators into a program of high-end abstractionism. The time stretching ambient and deep-bass sound mutations crunched the boundaries between techno and high-end classical indeterminate music. On the classical side, you had never-experienced before renditions of Morton Feldman or the amazing “Fifty-Eight” by John Cage - the track by John Cage for 58 wind instruments, all scattered throughout the audience, so that each viewer had to not stand in place and draw unpredictable trajectories around the venue to create an own, singular listening pattern. Hard to describe the post-surround and deeply incidental experience of walking around as a new cue blasts all of a sudden in your proximity, taking you completely by surprise as heavenly sustained intonation notes layer synchronically from just anywhere around. Someone I know, looking at TLN’s program, asked me if John Cage was going to perform at the event. And after hearing “Fifty-eight” I started wondering the same. On the techno-rooted side, line up included the likes of Acronym (performing as Dan Vincente, straying from the dusty, rhythmic techno sound and pursuing the arctic chill spectrum of its musical interests), drony Dalhous which made some deep listening darkness happen, Caterina Barbieri which was nostalgic and playful, far out Murcof, four hours of science of sleep with Biosphere and an after-party by Demdike Stare’s Miles Whittaker in room Ohm, bouncing chill to sluggish dub and ambient sounds all the way through Monday morning. 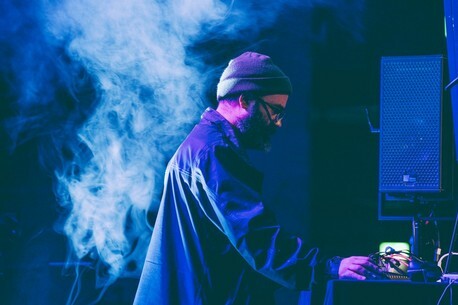 Meanwhile in Kraftwerk Halle, Objekt was in charge with the more alert aspect of the party - where all the tension built up over two days of tame cinematic drones broke out into sweaty experimental techno madness. Murcof’s live electronic number was deep and transcendental, stretching each frequency to the point of collapsing perception. You didn’t have to be awake since 24 hours to have an out of this planet experience to this one. And I swear, my soul just left the physical plane for a moment or two as I was trying not to fall asleep and miss such beauty. The sample would go like a low, subtle “aum” hum made by electronics, dissolving time for real and aiming towards endlessness. Keep up with The Attic content by getting our digest email in your inbox, once in a while. Another mystical event to which one could practice holotropic breath work and 8th chakra meditation - in attempts to calm eventual anxiety attacks due to everybody else being asleep - was the set of Robert Curgenven. Scheduled for Saturday night, after Biosphere charmed (almost) everyone to slumber, this was an incredible find. Robert Curgenven’s exposed a microtonal field recording piece called “Climata”, made out of sounds captured in Turrell Skyspaces worldwide. I contacted Robert Curgenven afterwards on the topic of the brainwave appeal of his work and to which extend it was intentional. His answer was “It works well with bringing a nuanced awareness of space through sound, becoming how we perceive space - it’s a slow induction - and gradually the gestalt space made up of all the individual locations becomes apparent in the air and also through the skin (as a sense receptor for sound). The important thing is duration, both how the sound moves over time, but also the relation between REM cycles (so theta and delta) and the specific length of the pieces and how they work as modules, both separately and as modules of a whole.” Check out “Climata” and then figure out each recording as a module, and the possibilities of combining them to get the weirdest far out outcome. Another set most likely to be missed due to healthy sleep patterns was Baba Electronica. People were still off to dreamland, and I was admiring the high ceiling of the Kraftwerk Room expecting anything. And then the Internet broke loose. Baba Electronica played some straight up, un-ironic vaporwave, like nothing in that place was other than binary information in digital 90s #nostalgia powered aesthetic. It felt like being perpetually stuck within a dream-loop, while ethereal internet muzak was revolving around itself with hypnotic slowness. Ever been to Lavender Town while playing one of those old Pokémon game versions? Or heard about that Lavender Town Tone and Syndrome? That’s about how the whole place echoed thank to Baba Electronica. No exaggeration. It was the real life level of it, at the right time and in the right venue. By the time the sun has risen, it all morphed into some down tempo ballsy trap which worked as gradually shifting the moods from sleep subversion to serene awakening. An achieved purpose of The Long Now was that of getting the audience so out of their spectator condition “comfort” zone, that it would make them feel at home with it. You could sleep whenever you felt like, walk around, have a coffee, wander on your laptop, make a list about the things you’ll be talking about next time in therapy, or just tend to your personal own endeavours in spiritual enlightenment. The intonation of constant tones in so many particular interpretations would take you to a heightened level of perception anyway. For those interested into the state of techno in relation to concert hall culture, The Long Now (and Maerzmusik, by large) came as an unreal treat, taking the grounding current of the dance floor territory and wiring it subtly to one’s more or less conscious receptors of the mind.